2017 marks the 100th year anniversary of the Apparitions of Our Lady of Fatima. To Mark the centennial celebrations, a special rosary has been made available. The rosary has been made up of porcelain beads and a custom 100 year centerpiece. 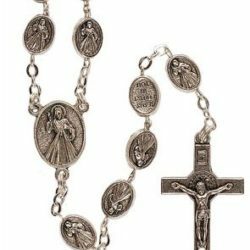 This rosary is authentic and ordered directly from Fatima, Portugal. 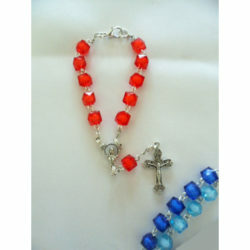 No two rosaries are alike and colours may differ from images.